These might best be called “Unschooling with a Diploma” programs. With some of these home school programs, you can just take online classes for fun, and not for credit. They give you some guidance and sometimes a diploma, but mostly these classes are for families who want to design their own curriculum for all grades while also having a cover school. Join the Abrome Learning community. An alternative to school at a fraction of the cost. A community that promotes autonomy and intrinsic motivation; a space to pursue one’s needs, interests and goals. A private alternative school run by Wes Beach, offering a legal umbrella, guidance, documentation, college admission planning, and transcripts based on concise portfolios. Specialty: helping teenagers make a transition from high school studies to their next life situation, whether college or career. Boston School provides the family with educational choice of classes while providing a framework based on the State of California Education Code. Affordable curriculum, lapbooks, and homeschooling resources. Now includes music and PE classes. “Live” discussions online with teachers and fellow students. For those who just want to learn something without grades or credits. At Desiderata, you may receive credit from a virtually unlimited range of resources by properly documenting your experiences. Accredited K-12. Accepts students of any age needing credits for high school. A fully-functioning day school — a private school — at their disposal. Clonlara does enough of the parents’ administrative tasks to allow them the freedom to teach their own. Offers an accredited, customizable K-12 homeschool diploma program, via online and text-based curriculum, complete with individualized teacher services. With your own personal consultant to assist you in designing a individualized learning plan based on abilities, interests and goals you can receive a United States accredited high school diploma. Expert at successfully assisting families with learning challenges and gifts. Enrollment includes a K-12 classes, electronic curriculum and streaming videos throughout. 25 Years experience of unbeatable value and service. Massachusetts Institute of Technology has placed a whole slew of their courses online for free. 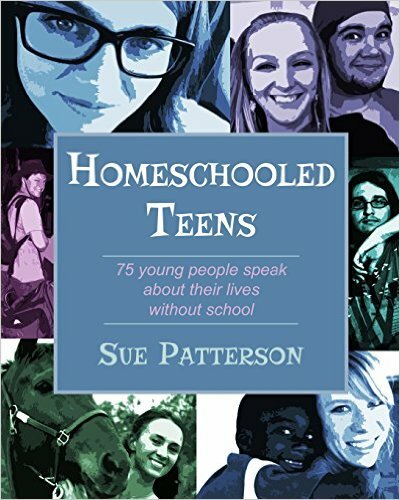 Some are particularly interesting to homeschoolers of high school age. MIT does not give you credit for these courses, but just the outlines, notes, reading lists, etc. so that the self-motivated can study the same material as enrolled students. Academy with counseling for English or Spanish speaking homeschoolers. Unschooling with a diploma. Explore a variety of learning in these free online courses from the University of Washington. Not for credits. An incorporated for-profit business in the State of Maine, recognized by the State Department of Education as a private school program with authority to provide educational services and to grant diplomas. Project-based art and science explorations classes for children 6, first grade up to 18, high school. Very inexpensive, though you need to have a good collection of LEGOs for some of the projects. Enrollment can begin at any time. And with all-inclusive program pricing, enrollment is easy. Each enrolled child receives a student identification card that verifies participation in a school. (Upon request and submission of student photo.) Students can earn additional credit for hobbies, travel, athletics, art, music, drama, research, etc. We maintain each child’s school health and academic records. Course credits from your child’s previous private or public school are readily accepted. It’s so hard to predict what obstacles are going to pop up as your family moves through their adventure in home education. Having someone walking alongside can make all the difference in the world. You really can have that home full of joy and confidence!